How might your life change if you could cut expenses & learn how to save money? Would you pay off credit card debt? Student Loans? Maybe put it toward a down payment to buy a house? I had intentions to return to my teaching career after my maternity leave when our twins were born. 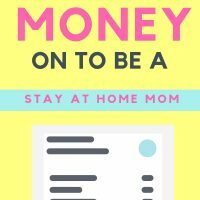 Not because I didn’t desperately want to be home with my babies, but because I was certain that we would never be able to live on just one income. We already didn’t live frivolously with two incomes and still didn’t have much money in savings. One income just wasn’t a possibility for us. SHORT ON TIME? SAVE TO PINTEREST NOW & READ ABOUT HOW TO SAVE MONEY LATER! Then the twins were born. Two precious baby boys, Beckem and Adler. And as if life with twin newborns isn’t challenging enough, Beckem was born with serious problems that required a lengthy NICU stay (and many hospitalizations to follow). We later learned, on his first birthday, that he has an extremely rare disorder called KAT6A. It was soon apparent that his problems weren’t going to be “fixed” and he would need even more time, attention, and care than his healthy twin brother needed. I can’t tell you how terrified I was to think about how we would survive without my monthly paycheck that had been a constant for more than 16 years. I am already anxiety-prone so I had the most dire scenarios already created in my head. But I was more scared I would lose my baby, or that he wouldn’t reach his full potential without my devotion to his care. 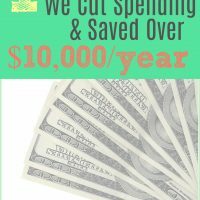 I had to figure out how to cut our spending….and fast! I had to figure out how to save money!! And you know what?…..It wasn’t as hard as I thought it was going to be. In fact, it was quite sobering to see how much money we had been blowing. 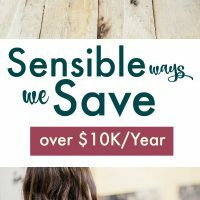 But today I’m sharing how to save money with 7 of the things we did in order to save more than $10,000 in ONE YEAR. 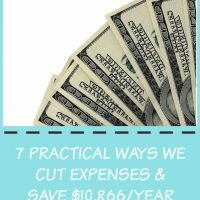 This isn’t a comprehensive list of all the ways we were able to cut costs and save, but these are some that I think are the most practical ways to save money. I won’t say it’s easy because change rarely is. Cutting costs and embracing frugal living usually means we are cutting out convenience and/or comforts. It’s more convenient to grab fast food, and certainly more comfortable to have someone else do my pedicures. But, every single cost we cut, every convenience and comfort we did without was 1000 times EASIER than the thought of leaving those babies every day. Taylor works in management and has to wear ties every day and suits many of those days. Having his shirts and slacks cleaned and pressed and suits dry cleaned was almost $200 each month. I bought a decent iron for about $70 and started ironing his shirts and slacks myself. So 4 of my hours each month are spent ironing, watching ‘Friends’ and saving 150 bucks! We nixed cable. This one was a little bit of a tough adjustment for our two older sons. We were spending about $100 for basic cable to flip through channel after channel of commercials. We signed up for Netflix for less than $8 a month and have never looked back! 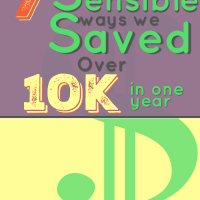 Can’t believe we didn’t do this sooner….such a simple way to save money! Haircuts for 3 guys was about $60 each visit, 8 times a year–totaling about $480 a year. I bought this clipper set for around 20 dollars (the price has increased a bit since then) and scissors for $15. Those clippers only lasted 1 year so I replaced with this clipper set for less than $50 and it’s still going strong. Let’s be honest, figuring out how to do a simple boy hair cut isn’t rocket science. But let’s talk about my hair. It takes a long time for stylists to learn how to do color and it is truly an art! Ya’ll, this is one area I honestly thought there was absolutely NO WAY I would ever do without!! I had my hair highlighted/colored, and cut at least 6 times a year, and was spending about $120 a visit-$720 each year. There was no way I could justify that and expect the rest of my family to keep making sacrifices now that I wasn’t working. So I watched A LOT of YouTube tutorials and read everything I could find about highlighting and cutting hair similar to mine. For less than $50, I bought all the supplies I needed. I got this powder lightener and this toner. Then I got a 40 volume developer and a 20 volume developer. The lightener and developers last forever so I only have to purchase the toner each time which is less than $10. I remember thinking at the time that this would be the FIRST expense I add back as soon as we were able, but when that time came, I had a change of heart! I’m not saying this is a simple thing to DIY because I have spent countless hours watching and reading tutorials, but once I figured it out, it really is easy and I happily can stuff 120 extra dollars into savings every other month! Definitely one of my favorite ways to be more frugal! Paper towels didn’t seem like much of an expense until I added up that we spent around $180 a year on those little rolls of convenience!! We added up what we were spending on restaurant food and the total amount was enough to make me so sick I never wanted to eat again! We were throwing away more than $600 per month!! More than $7000 a year!! That’s embarrassing to admit. We decided we would allow $100 of that $600 for our future take out budget and another $100 we added to our grocery budget. Then I came up with a meal plan and started meal prepping and making freezer meals. It’s impossible to cut expenses & save money if you aren’t organized & productive with your time. 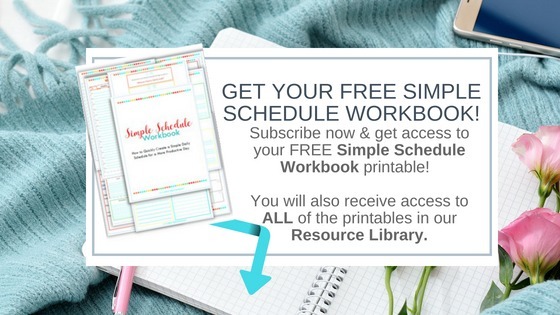 Read “Time Management for Moms to be More Productive at Home“ & be sure to sign up to get the FREE Simple Schedule Workbook! It will guide you through the easy steps to organize your time, responsibilities, family meals, & create your most productive daily schedule! #6 How to Save Money with Free Car Wash! Then we spent $12 on another 24 pack of the microfiber towels (& designated those to be only used for cleaning cars). The rest of the supplies we already had–a bucket, water hose, Dawn dish soap, and coconut oil for the interior. Manicures were $25 a month and pedicures were $40. I found this tutorial on Pinterest for gel manicures, and about $30 later had everything needed for DIY mani/pedis! Gelous Nail Gel Base Coat is the secret sauce for long lasting manicures! Your situation certainly won’t look the same as ours. You may not need to cut spending in all of these areas or you may have categories of spending that we don’t have. Either way, by cutting your spending you will have the opportunity to save a chunk of change this year. What creative ways have you found to cut expenses & save money? I’d love to hear about it! Leave a comment with your best money saving tip! ← Fine Motor Activities for Preschoolers: Boy Approved! Hey Jennifer! Actually, I think it’s way easy to cut your own hair when you have a long simple style, but I was SOOOOO scared the first time I cut my own!!! I just trimmed a tiny bit of the length at first…then the next time I got braver and trimmed a bit from the layers. It’s certainly less complicated since my hair is just longish layers that I wear messy anyway! Ha! Now I think a professional blow out is a GREAT idea!!! My sister in law gets a blow out every Saturday and it lasts her all week!!! These are such great ideas!! I can’t believe how much it can add up to!! Thanks!! Thank you, Debbie! It really is crazy how quickly the little, everyday things add up! Hi I want to know how to save money whilst doing the laundry and which is the best way please. Thank you.